The Series: The Owls lead 4-1, and are 2-0 at home. 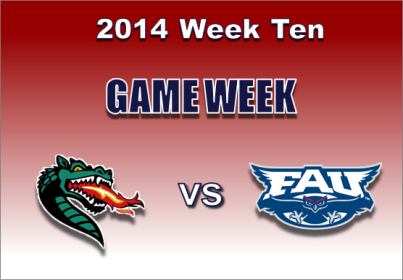 All lines have been up for hours now, with the lone exception of FAU's contest against UAB. The Owls have done well ATS so far at 6-2 on the season. The fact that thy tend to be a running team does not bode well for us. Blazers can not move the ball with backup QB Jeremiah Briscoe. Vegas is likely waiting to see if we get starter Cody Clements back. 3rd string QB is Myles McKee, a senior who has never attempted a pass as a Blazer. UAB's 4 wins are all over teams with losing records. Yeah, they are sure waiting alright…never seen a delay like this before. 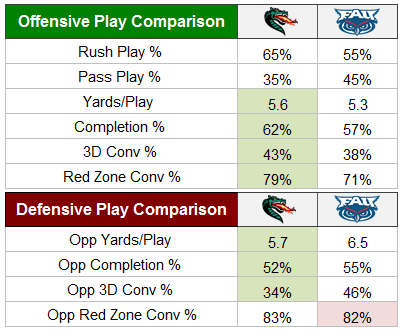 Bad FAU run defense is bad. Good UAB RB is good. Worried Jack is worried. Out two to six weeks from today, or two to six weeks from the time it occurred?